And welcome to my first blog post of 2013! I’m excited to connect with you often this year (Kevin and I will alternate writing The Jinxes’ weekly post) and I’m kicking it off with a writing challenge! Here it is: Write a story (a very, very short story) in 101 words or less. Share our writings with each other. I was faced with this same writing challenge about two months ago in the form of an annual contest held by The Monterey County Weekly. The rules were simple: Submit up to three original stories of 101 words or less. My competitive side perked up, my eyes narrowed, and I set to work. 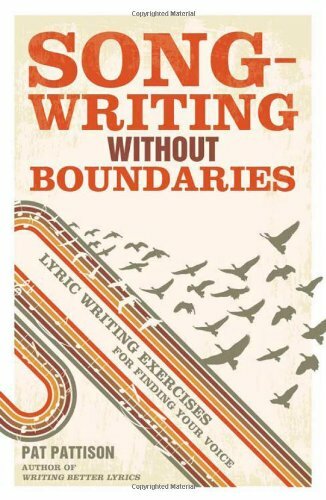 I began by trolling through random bits I had already written in response to other writing prompts during 2012 -- Kevin and I have been making our way, albeit slowly, through the book Songwriting without Boundaries by Pat Pattison (we recommend it!) and then I pared down some of those writings, and even combined a few tidbits into new stories. About five hours later, after much gnashing of teeth regarding verb tenses and the tyranny of restrictive word counts, I had five micro-stories that were each different and each pleasing to me. Tiny creations. Verdict: It was worth it! I invite you now to dig in, or just dabble, as you prefer, but get the words flowing out on the page. And I would love to read what you come up with! P.S. Two of the stories I submitted got Honorable Mentions. In the spirit of sharing, they’re re-posted below! : ) And you can check out the rest of the contest winners here! The all-night laundromat on the outskirts of Kansas City, the Moonlight Tumble, was her favorite place to read poetry. Rocked by the sound of towels rolling in dryers, lit by perennial fluorescent bulbs, she unraveled Yeats, Browning and Frost. Gathering her warm socks onto sorting tables, the metaphors would spin and unfold and float up the steamy walls until everything became beautiful and true, until “Do not overload the machine” and “Remember to empty your pockets before washing” and “Please visit again” became words of wisdom, signposts on her road less traveled, songs in her coat sleeves. Like most waitresses, Dahlia disappeared inside her uniform, a bringer of menus and runner of plates, no one of consequence beyond her customers’ appetites. That Thursday, he rushes to cover the last 200 miles into Boise and sit down at The Roadside Café for their knock-out pancake and sausage scramble. Meal over, third cup drained, he leaves a good tip, but steals his business card back at the last moment. What good could an overweight old trucker be to a girl like that? Dahlia wipes his table slowly, watching semis rush past, and waits for her life to begin.